I remember summer as a time of freedom from Catholic school uniforms, homework and lake-effect snow. I grew up running around the neighborhood until it was way past my bedtime, without a care in the world. I rode my bike without a helmet and slid down hot, metal slides. And I turned out fine. I think. It was a big deal to go on vacation. We often would visit family in Toronto as a long weekend getaway, but to take a bona fide trip was monumental. My family drove a few times down I-77 to Disney World. We visited the nation's capital. But our weeks on the Shore are the ones I look back upon fondly. My family wasn't one for the water. We were minutes from Lake Erie, yet none of us could swim. And it's not like we needed to tan. So as a child, renting a house and hitting the Jersey Shore for sun and surf was an unbelievable experience. As an adult, my love for the Shore grew. Not only did the beach call my name but so did the quaint towns. I'm a Shoobie through and through. Last summer, my best friend and I hung out in Cape May. My divorce was not yet final, so Amara was with her Dad, and I was able to enjoy the calm. 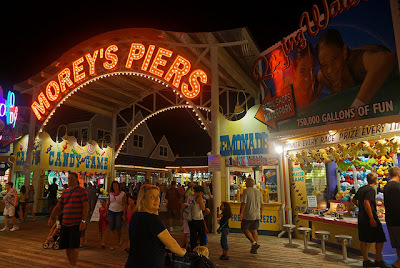 My goal this summer was to return to the Shore and hang out with Amara at either Exit 0 or Sea Isle City. I know how summer vacations can be in defining her childhood. And I want her first post-divorce summer memories to be positive ones. But apparently Amara had other plans. She has never been to the Shore, and she would like her first trip to include a stay in Wildwood. Think back to the classic 1940's and 1950's boardwalk of the movies...that's Wildwood. 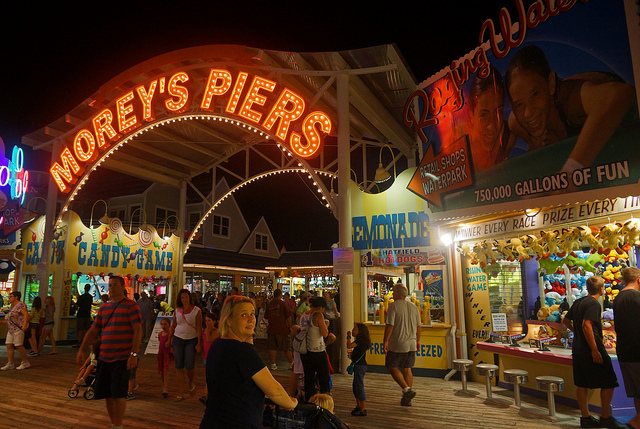 Boardwalk games, great food, and roller coasters all along the beach? Yes please! I've made no secret that money is tight, and every week is a struggle. But Amara needs this time with me. I need this time with her. I need this vacation. There's no doubt more affordable vacation options out there, but the reality is - I am a working single mom who has a loving support system. So with each struggle comes a blessing. We'll be cutting corners where we can. We'll be taking Trixie with us, so there will be no boarding expenses. I found a hotel with amenities that were perfect for us: We received a one-night stay free. We are walking distance to the beach. It accepts pets. And they have a kitchenette, so we can have breakfast in our room every morning. We're bringing our bikes and are planning lots of beach time. But don't worry, we'll still be hitting the amusement piers. And you know I never met boardwalk fudge I didn't like. So our vacation countdown is on. Two weeks. What did you do for your childhood vacations? Any big plans coming up these last few weeks of summer?